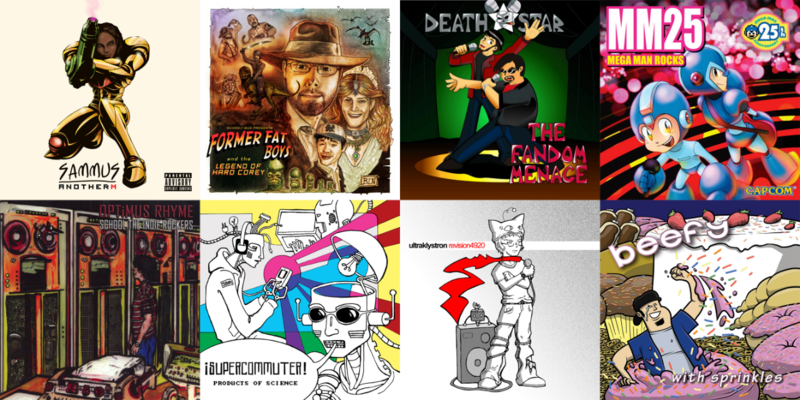 Last week I discovered the Nerdcore genre of music thanks to the This developers life – Faith podcast. I never really liked the hip-hop genre, but for some reason, I really like the sub-genre of it. Perhaps because the lyrics relate to my life as a nerd/geek. I'm not really a big music listener and have been struggling to find anything that I would even like to listen to. It has changed a lot over the years and even changes on a weekly basis. None of the services I've used recommended this genre to me. The things they recommend are usually songs that have a close relation to the things I've already listened to or is popular in the genres I was able to select when registering for the service. These genres are very broad and therefore worthless for music recommendations. Honestly, I would have liked that Apple Music was better (as a fanboi), but the poor music suggestions and the lack of decent playlist sharing is a turn off for me. I've always liked that I can search for a Spotify playlist on Google and be able to find something along the lines I'm actually looking for. I've had the impression that the Apple Music library has a bigger offering. The occasional things I missed on Spotify are usually available on Apple Music. I've yet to find anything that is on Spotify but not on Apple Music. I do hope Apple Music will improve over time. Especially splitting iTunes into separate apps. Music should have been an app on its own.